Best Rated Escape Room in St. Louis! Your team has been selected for a very important mission. I.B. Stealing & her team of art thieves have turned the second floor of the building into a black market auction. The proceeds from these auctions provide funding for criminal activity all around the world. Your mission is to go upstairs and recover the money that this crime-ridden group has made from selling black market items. Move quickly, you only have one hour before Stealing’s team comes back to check on the property. Are you up for the challenge? No Way Out® is your ultimate team escape room challenge, providing incredible group fun for the St. Louis area. Discover hidden clues, unlock secret codes, and solve advanced puzzles in order to escape the room in 60 minutes. Our escape room adventure provides a unique and exciting way to spend time with family, friends, and coworkers. Think you can join the winner's circle? Grab your team and book now! Need an effective way to engage millennials? 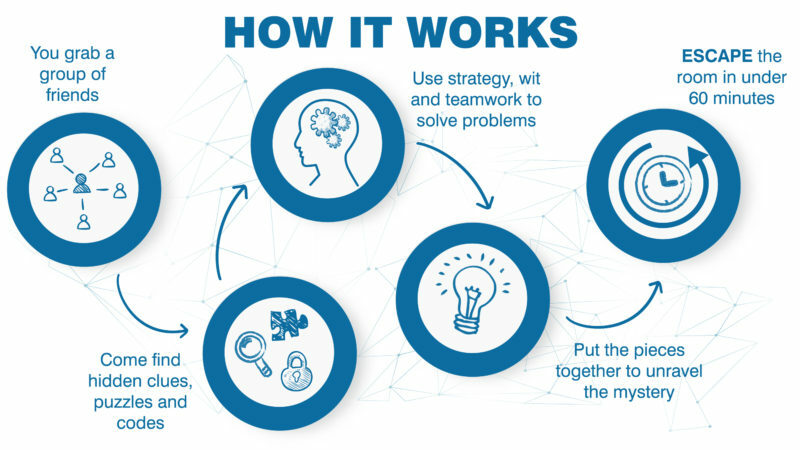 Looking to collaborate more effectively in a quickly changing environment? Book a Private Escape Room Experience as your next team-builder with No Way Out® in St Louis. Need a fun activity this weekend? Put those cell phones down and head to No Way Out®! Our escape room challenge requires lots of communication and cooperation, and you will have a great time while doing it! Need a study break after a long week of exams? Do you want to get away from campus for some fun? Come try a team escape adventure at No Way Out®! Special Student Pricing available for all games M-F before 4pm CST (valid Student ID required). Looking for new and fun things to do in St Louis? Come participate in one of the hottest team escape room challenges that the city has to offer. Don’t miss out on all the fun! Come spend an hour with us. 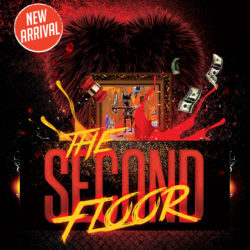 Our New Experience, "The Second Floor" is coming in March. Book your spot today!